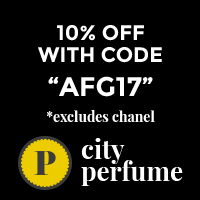 Fragrantica lists the notes as: blackcurrant, pear, mandarin, bergamot, neroli, freesia, osmanthus, jasmine, mango, rose, strawberry, patchouli, musk, vanilla, amber, woody notes. If you have ever tried Si (edp), or any of its flankers, you’ll know, generally, what the edt is like. The opening blast of cassis, patchouli and rose will be incredibly familiar. They all share that same fruity, slightly sweet and bitter beginning. Si (edp) has inspired many newer scents, such as Always Red by Elizabeth Arden and a couple of Sofia Vergara scents, so no doubt you’ll have smelled it somewhere. The ubiquitousness of this note combination prompted me to shy away from Si for the longest time. What makes Si (edt) differ from the original and its flankers, as well as attract me, is the presence of freesia. Fans of freesia based scents understand how hard it is to find a freesia that isn’t screechy and headache inducing, isn’t swamped by other notes, isn’t revoltingly synthetic or so fleeting on opening that it is a waste of money to purchase a bottle. In Si (edt), the freesia is beautifully supported by the junction of all the other notes. It sits centre stage for the first two hours and gracefully dims itself over the next few hours. The pear and vanilla are present enough to gently smooth the freesia’s screech, leaving me to enjoy its scent for longer than I can normally cope with it unfiltered. The balance between the florals and fruit are superbly crafted in this formulation. Neither leap forward to suggest a leaning to either accord, so I get to appreciate both. My favourite pear note is high pitched and loud, present in a Rosie Jane oil (I plan to review that soon), but in Si (edt), the pear is a very different sort. It is a creamy, late summer, sun kissed, yellow skinned pear. The sort that oozes a rich juice upon first bite. It blends with the tartness of strawberry and the very ripe honey mango. The resulting scent is a heady mix that does stay quite linear on me for hours. I must be in the right frame of mind to wear it, sadly. The complexity of the composition does force my attention from whatever I am doing, and on an empty stomach, it can cause me queasiness. When I do wear it, I berate myself for not using it more often; I am enthralled by its richness of notes. I think Si (edt) isn’t the type to work as a daily. It demands attention, contemplation and certainly is not a ‘no brainer’. For so long, I had pegged this as a cotton candy, frou frou type and really gave it no credit for having any semblance of seriousness. I put Si (edt) alongside Chloe Nomade, L’Heure Bleue (edp), January Scent Project’s Selperniku and Auphorie’s Eau de Nyonya as scents that require intellectual effort to fully appreciate. They are gorgeous scents in their own right and are easily enjoyed, but their level of complexity cannot be grasped upon spraying and forgetting. What is your unsung hero, or your intellectual masterpiece you often overlook? ← There Is No Cumin In Rubj Extrait. A Letter to Vero. You’ve made me want to try Is EdT. I’ll try and give it the attention it deserves. You know I was in town today and going to try it anyway. It was so hot though that I knew I’d be giving it a hate wear. Next time. I don’t think I have tried this so now I need to!! I love freesia so now I need to try this! pear? I like it in the Histoires de Parfums 1926/Turandot, and the nice juicy note in Charlatan. I’ve never had any of the Si fragrances; however, one of them, not sure which one smells amazing on a good friend. I totally understand your statement: “it demands attention, contemplation and certainly is not a ‘no brainer’.” I can relate to this with several perfumes I own. I have to be in the correct mindset, place, and time to appreciate them; otherwise, they are over the top too much challenging. An example of an intellectual masterpiece for me is Chanel No 22. I have loved it for years and always will, but I can’t wear it just anytime or to relax and settle easily in to. It is huge and demands my attention. In comparison, Dior Hypnotic Poison; I can wear this so easily and anytime without thinking about it. It calms me with a big hug! I am absolutely fascinated by what you said because I wore Chanel no 22 when I was a teenager (Maaannnyyy years ago…back in the day when incense was in the drydown) and for me it was always a no brainer and easy to wear perfume….it never ceases to amaze me how our perceptions of fragrances can be so different. Agreed! And this is what I love about our fragrance community. The sharing of perceptions, thoughts, likes and dislikes. It definitely opens my mind to read other perspectives. Scent has so many memories and emotions attached, as well as our skin, climate, and environment. Kate presented such an interesting topic with how our mood affects perfume, as well as how challenging the fragrance is. So many fragrances require me to be present and aware, and so many are just a simple pleasure. Kate, you got me thinking hard 🙂 I guess Mitsouko might be my unsung hero: I love this perfume, I do but it demands me to be serene and when am I ever? Mitsouko is a strange beast for me. I can’t really explain what it does, but it’s very melancholic or something. It’s a mood shifter for me, not sure if we will ever be good friends😔 though I can appreciate its composition. I won’t give up on it, though! Mitsi really seems to have a very mixed reception. You are not alone with that strange feeling, cassieflower. Isn’t it amazing how different are our perceptions of the same perfume? I find my colognes and especially the vintage eau de toilette rather cheerful. I read your and Kate’s comments and just had to spritz some M. on me 🙂 It smells like a happy autumn morning to me, if that makes sense. Yup, it does. I’ll wear my Mitsi parfum today. Seems the right thing to do. Maybe some edp on my torso too. Thanks for the unintended prompt. I love Mits, and get on well with her. Oh, and if perfume has a voice, I’d say this one speaks like Joan Greenwood. Awww, no! Horrible stuff, cassieflower. Sinuses can be a right pain. As the freesia isn’t the central note by a majority, you may find it no different to the edp. Poor you! Get well soon, Cassie. Oh hey, how’s the job going? Do you feel more like you’re getting a handle on things? I’m an awfully sweet person. Not! Ha. I have Si Rose Signature II and I like it a lot! I think my intellectually challenging scents are things like Azuree and Aromatics Elixir, both of which I love. Ooooooh, OH, yes to Aromatics! A definite buzz for the brain. So much going on with it. I should amend my comment to say that many niche fragrances I have are intellectually challenging and demand close attention, but they are not as widely available and so not as underestimated as the more mainstream scents. I guess we kind of expect, grossly stereotyping, designer to be easy and safe, with niche the intellectual. I love it when a designer scent revs up my brain.